GLK welcomes girls of any age, with our Senior Section having hundreds of girls aged between 14 and 25 who take part in Rangers and Young Leader programmes within the county. Take a look at our 'Senior Section' page to find our more! Our youngest members start at five years old at Rainbows, where they begin to learn about the Girlguiding family and make friends that will carry them throughout their time with us in GLK. Brownies start at seven years old and they begin to learn about the world around them and their community. Weekly meetings involve badge work, arts and crafts and the opportunity to go on weekends away with their pack. At special times of the year, we come together in our districts, divisions and as a county to celebrate events, such as 100 years of Guiding and the Big Brownie Birthday. We are happy to accept girls in to the Guiding family whenever they wish, whether this is as a Rainbow, Brownie or Guide. Please get in contact if you wish to join us, we'd be happy to hear from you. We encourage all units to interact with one another, whether these are through activity days or joint weekends away where the girls learn new skills and get to know new people in their county, division or district. Guides is a brilliant way for young girls to gain experience and life skills, with many Guides having the opportunity to go on overseas trips with other girls from around the world. Previous trips have included to Switzerland and Mexico! 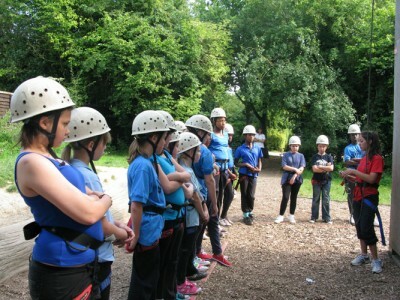 Welcome to the website of Girlguiding Greater London Kent. 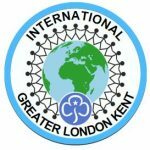 The County covers the London Boroughs of Bexley and Bromley and is home to over 5,500 Rainbows, Brownies, Guides, Rangers and Young Leaders, as well as just over 1,000 Adult Volunteers.